Background/Purpose: Upadacitinib (ABT-494, UPA), an oral, selective JAK-1 inhibitor was effective in 2 ph2 trials in rheumatoid arthritis (RA) pts with inadequate response (IR)/intolerance to csDMARDs/ bDMARDs. Methods: Pts with active RA (TJC≥6, SJC≥6; hsCRP≥3 mg/L) on stable csDMARDs were randomized 2:2:1:1 to receive UPA 15 mg or 30 mg once daily (QD) or PBO for 12 wks followed by UPA 15 mg or UPA 30 mg QD starting at Wk 12. The primary endpoints were the proportion of pts who achieved ACR20 and the proportion who achieved DAS28-CRP ≤3.2 at Wk 12 (NRI). Results: Of 499 randomized pts, 498 received study drug; 451 (90.6%) and 419 (84.1%) completed Wks 12 and 24 respectively. Baseline disease characteristics indicated long-standing severe, refractory disease: (means) duration since diagnosis 13 yrs; DAS28CRP, 5.8; TJC68, 27.9; SJC66, 16.8; 53% experienced ≥2 prior bDMARDs. At Wk 12, significantly more pts (p<.001) on UPA 15 and 30 vs PBO achieved the primary endpoints (ACR20: 64.6% and 56.4% vs 28.4%; DAS28-CRP≤3.2: 43.3% and 42.4% vs 14.2%) and other secondary endpoints (Table 1). By Wk 1, significantly more pts achieved ACR20 on UPA 15 and 30 vs PBO (27.4% and 24.8% vs 10.7%, p<.001). At Wk 12, significant improvements were observed on UPA 15 and 30 vs PBO for HAQ-DI (LS mean change -0.39 and -0.42 vs -0.17, p<.001). At Wk 24, responses were similar or greater for pts originally on UPA and comparable for pts who switched to UPA after 12 wks of PBO. In the first 12 wks, frequency of AEs was comparable for PBO and UPA 15, but higher for UPA 30 (Table 2). Overall AE rates (E/100 PY) through Wk 24 for UPA 30 were similar or slightly higher than UPA15; more AEs led to study drug discontinuation in UPA 30. Occurrence of infections was similar in all arms, but there were more serious infections and herpes zoster cases in UPA 30. Malignancies were observed in 4 pts over 12 wks with 1 additional case through Wk 24. Through Wk 12, pulmonary embolism (PE) was reported in 2 pts (1 each on UPA 15 and 30), none with DVT; through Wk 24, PE were reported in 4 more pts (UPA 15: 3, 1 of whom also had a DVT; UPA 30:1). All had risk factors for DVT/PE. Two deaths were reported (UPA 30: 1 prior to Wk 12; UPA 15:1 after Wk12). Conclusion: In this treatment-refractory, bDMARD-IR RA population, rapid, significant improvements in signs and symptoms were observed with UPA at both doses vs PBO during 12 wks of treatment, and maintained through 24 wks. No new safety signals were identified vs previous ph2 studies. PE and DVT cases observed in this study have not been reported for the only other ph3 study with unblinded data to date. Overall data from the ph3 program will allow a comprehensive evaluation of the benefit:risk profile of UPA in RA. Disclosure: M. C. Genovese, AbbVie, Lilly, Pfizer, Galapagos, Gilead, 2,AbbVie, Lilly, Pfizer, Galapagos, Gilead, 5; R. Fleischmann, AbbVie, 2,AbbVie, 5; B. Combe, Abbvie, BMS, Jansen, Lilly, MSD, Pfizer, Roche Chugai, UCB, 5; S. Hall, None; Y. Zhang, AbbVie Inc, 3,AbbVie Inc, 1; Y. Zhou, Abbvie, 1,AbbVie, 3; M. E. F. Mohamed, AbbVie, 1,AbbVie, 3; S. Meerwein, AbbVie, 1,AbbVie, 3; A. L. Pangan, AbbVie, 1,AbbVie, 3. Genovese MC, Fleischmann R, Combe B, Hall S, Zhang Y, Zhou Y, Mohamed MEF, Meerwein S, Pangan AL. Upadacitinib (ABT-494) in Patients with Active Rheumatoid Arthritis and Inadequate Response or Intolerance to Biological Dmards: A Phase 3 Randomized, Placebo-Controlled, Double-Blind Study of a Selective JAK-1 Inhibitor [abstract]. Arthritis Rheumatol. 2017; 69 (suppl 10). 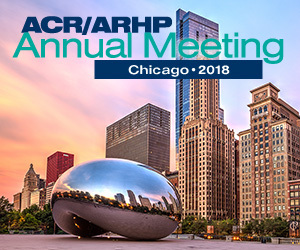 https://acrabstracts.org/abstract/upadacitinib-abt-494-in-patients-with-active-rheumatoid-arthritis-and-inadequate-response-or-intolerance-to-biological-dmards-a-phase-3-randomized-placebo-controlled-double-blind-study-of-a-selec/. Accessed April 19, 2019.